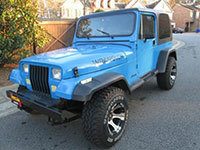 The used Jeep Wrangler is an iconic American SUV that’s known for its unmatched off-road performance. It’s the perfect pick for adventurous types and their favorite collaborators. Over the years, the used Jeep Wrangler has introduced a number of safety and infotainment upgrades in an effort to keep modern drivers connected on the go. Contemporary models even provide upscale flourishes, like handsome leather upholstery. 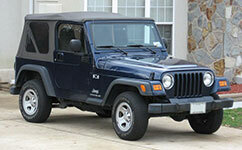 Check out our used Jeep Wrangler buying guide to learn more. To say that the third-generation used Jeep Wrangler is the king of the off-road is a vast understatement. However, these models also provide cutting-edge tech features and new levels of interior luxury. If you’re shopping for a used Jeep Wrangler, start with third-generation models. 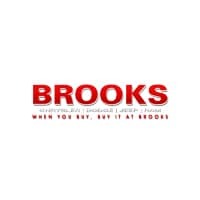 Choose between a removable vinyl roof and a removable hardtop. If you prefer to keep your options open, you can take both roof options home with you. As in models of old, the Wrangler’s doors and windshield are also removable, making your experience as rugged as you like. Inside, you’ll appreciate the Wrangler’s spacious, supportive seating. If you’re in the mood for upscale ambiance, the Wrangler offers leather upholstery and heated seats. Automatic climate control means all passengers can maintain the perfect temperature. In terms of tech gear, the third generation kicks things up a notch. The central Uconnect infotainment system is one of the best out there. Seamless smartphone integration features give you the power to make hands-free calls and stream audio. With the premium Alpine sound system, your favorite tunes sound crystal-clear. Power mirrors come in handy during your off-road travels. Beginning in 2012, Jeep introduced a new V6 engine that took performance to new heights with 285 horsepower. That same year, four-wheel drive became standard, so all Jeep Wrangler models are ready for the off-road right out of the gate. The third-generation Wrangler also maximizes passenger safety. 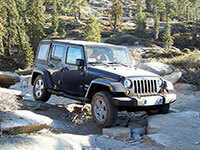 The hill start assist feature keeps the Wrangler from rolling backward at stops. Stability control helps you maintain authority over problematic road conditions. When the Wrangler reappeared for its second generation, it offered a new Quadra-coil suspension for a refined performance, both on-road and off. The redesigned cabin supplied dual airbags to mitigate passenger injuries during a collision. It also introduced increased creature comforts, including a tilting driver seat and a combo CD and cassette player. For the 2006 model year, the Wrangler introduced a powerful new 4.0-liter inline six-cylinder engine, which generated 190 horses and 235 pound-feet of torque. The original Jeep Wrangler’s main appeal lay in its off-road capabilities. Its impressive ground clearance and high-powered engines were perfectly suited for travel over rugged territory. 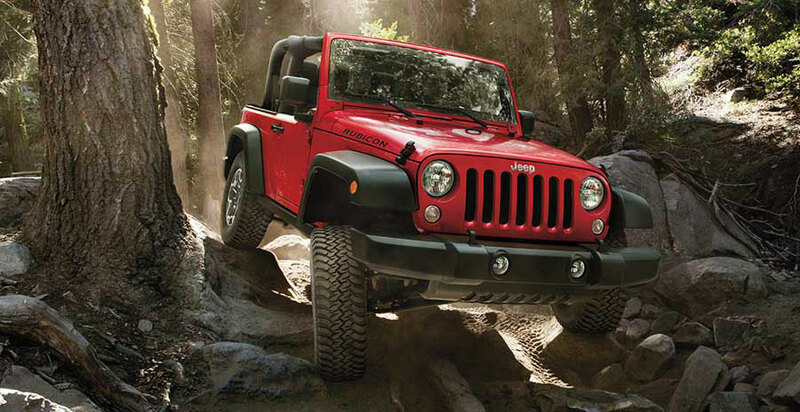 However, the first-generation Wrangler also combined rugged power with a comfortable on-road performance.